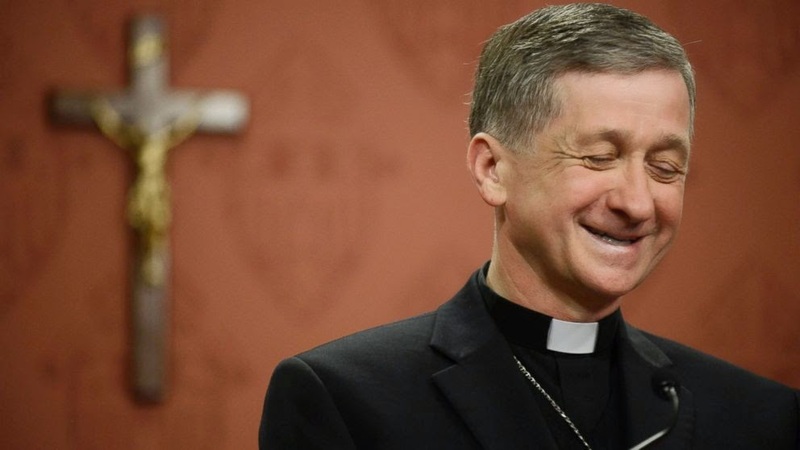 For those of you in Chicagoland, or who are interested in ecclesial appointments, will have noticed this past weekend the appointment of Bishop Cupich to the See of Chicago. One issue that has not been mentioned in much of the coverage about the appointment is that he was one of the members of the Subcommittee on the Translation of Scripture Text for the NABRE OT and re-revised Psalms. I am unsure if he will be associated with the upcoming revision of the NABRE NT. When he came to Spokane in June 2010, he left 12 years of experience as bishop in Western South Dakota to come to an area where he had never lived. He asked what God’s Word had to say to him with that change, not knowing how he would deal with issues or serve people. He said his starting point in Spokane has not been his experience but what God wants him to do in the new situation. So, is the committee actually working on the N.T. NABre update? Is this something they work on every Friday afternoon if they are not too tired? (Pardon the sarcasm). A thorough update of the N.T. should be doable in a single year. It's not nearly as long as the Old Testament. It should be like updating Jeremiah. Due to the fact that it needs to be approved by Rome, likely completion and publication is 2025. The Church, sometimes to her credit and sometimes to her fault, takes her time with liturgical/scriptural documents. Some translations of recent were too hastily prepared (ESV, MEV) to be sure. The current NABre is pretty good; but I stumble on some weakly translated passages now and then. I will be more willing to wait until 2025 if they will make a full revision, both OT and NT. That will worth the wait. I will never move on from using my 1949 Douay-Confraternity Bible. They will NEVER be able to come close to this translation, ever, never. It is the epitome of English Catholic Bibles. The scholarship and saintliness of the Reverend Dr. Gregory Martin and his team, and later the Most Reverend Dr. Richard Challoner, along with the ORIGINAL C.C.D. committee that worked on the 1941 New Testament, can never be matched. Doesn't get any better. Well, not unless they went back to the basics, stopped worrying about appeasing people and used poetic language (bring back thee, thou, thy and thine personal pronouns and -(e)st and -(e)th verb suffixes. Also if they would translate again from the Latin Vulgate, only wavering when there is significant difference between it and the critical Hebrew/Greek texts.